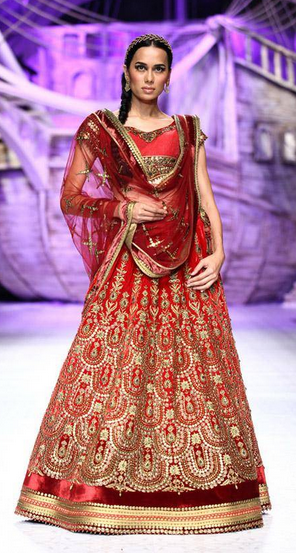 An Indian bride-to-be's haven, India Bridal Fashion Week started off with a bang showcasing two of India's prominent and popular designers: JJ Valaya and Shantanu & Nikhil. Both stood out in their own way, one for it's heavy embroidery and design and the other for a more minimalistic and monochromatic inspired theme. 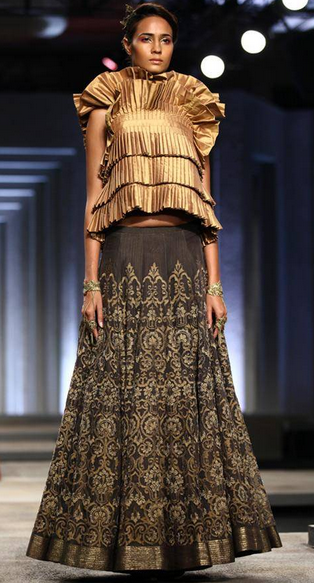 Using a mix of fabrics and cuts, JJ Valaya presented a collection using beautiful fabrics and patterns. 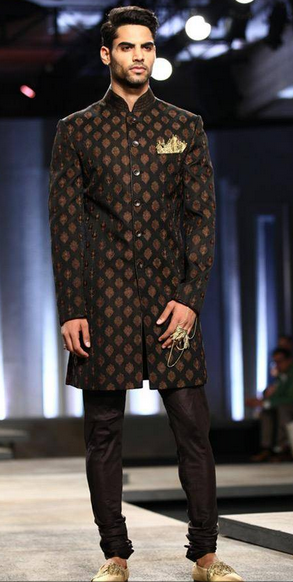 Though the pieces in the collection don't seem to follow a certain theme or inspiration, the heavy embroidery keeps up to his name as we have seen in many of his collections before. 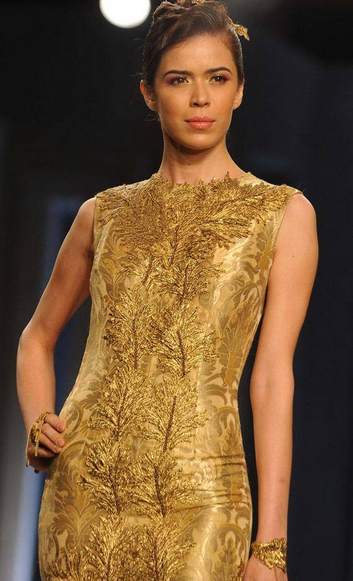 Shantanu & Nikhil presented an elegant and luxurious collection using antique gold touches through out. 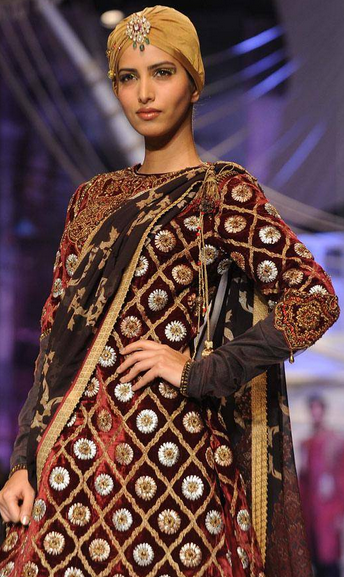 Trends to keep an eye on are the high and square necklines, no sleeves, and damask embroidery. With certain items heavily inspired by Marchesa and Oscar de la Renta pieces, these items have just the right amount of embroidery to keep that classic touch. 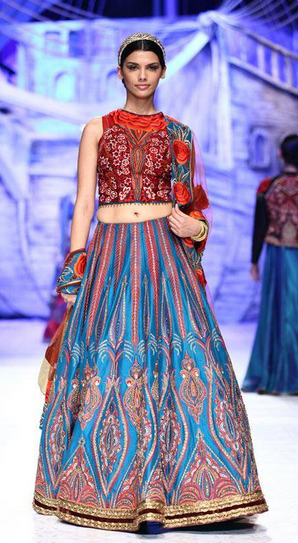 Is there a piece that catches your eye? 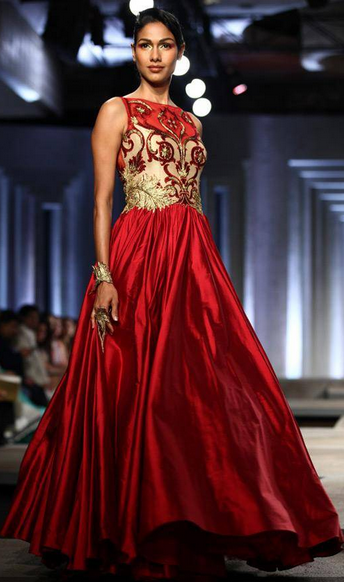 I'm loving the black and red anarakali by Shantanu & Nikhil.